Your CVMA membership is more than just a fee–it’s an investment. Your membership brings with it incredible benefits and services. Take a look! CVMA’s 2016 Veterinarian of the Year, Dr. Melanie Marsden, talks about why CVMA membership matters. Expand your network. Discuss your concerns with peers. Share your successes. Connect with your colleagues. Member meetings are held in 16 chapters throughout the state, offering a chance to connect with colleagues in your area, and the annual convention in September provides a lively forum for building and renewing your professional relationships. CVMA offers outstanding opportunities for continuing education to keep you abreast of scientific developments, to expand your professional development and nontechnical skills, and to help you manage your practice efficiently and effectively. Look to CVMA for top-notch speakers who share their expertise at the annual convention, CE West and CE Southwest, the Professional Development Series, SkiCE, and a stellar lineup of offerings and webinars. CVMA members always receive special pricing on all of our educational offerings. View upcoming events here. CVMA members receive the award-winning VOICE quarterly magazine to keep you up-to-date on news about the association and veterinary medicine in Colorado. Premium and Core members receive the printed and digital copies of the magazine, while Basic members receive the digital version only. And in between issues of the magazine, the weekly CVMA eVOICE email newsletter provides you with instant access to important news affecting you and veterinary medicine. Members also have access to archives of VOICE and eVOICE. CVMA is the collective voice for members in the professional, public, and state government arenas. The association maintains strong relationships with the State Board of Veterinary Medicine, AVMA, state and provincial VMAs, and organizations with allied interests. One of the most vital and impactful things CVMA does is advocate on behalf of the veterinary profession in Colorado. We fight to make sure legislators know how proposed bills can help or hurt your livelihood, veterinary medicine, and animal health and welfare. Learn more here. Your online member account gives you access to all the members-only sections of the CVMA website, such as the Veterinary Resources database, where you will find information on a variety of regulatory, scientific, business, and animal health and welfare issues. Your account also allows you to participate in members-only forums, browse past issues in the VOICE and eVOICE archives, and find colleagues using the searchable online member directory. Each month, nearly 400 prospective clients visit the Find a Veterinarian page, which allows them to search for CVMA member veterinarians. 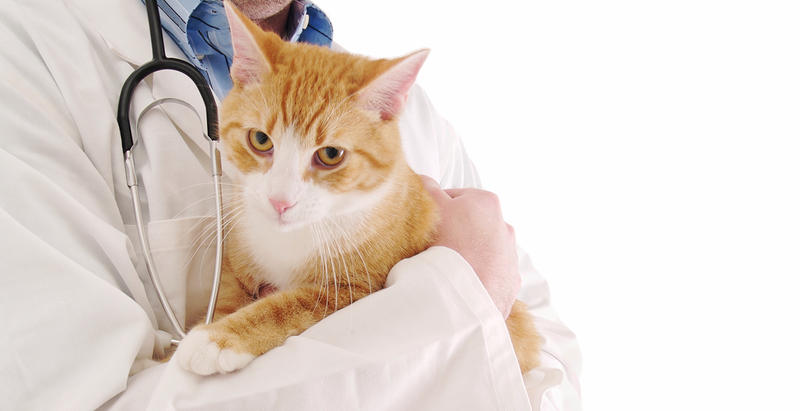 CVMA strives to expand the public’s understanding of and appreciation for veterinary medicine through initiatives such as the annual PetCheck program, which messages the importance of preventive veterinary care. Veterinary Growth Partners is a membership organization for veterinary practice owners who want to maximize their success. VGP offers practice management and marketing tools, a buying program, continuing education, and so much more. CVMA Premium and Core members receive free membership in VGP! Learn more here. Participation requires completion of the VGP Practice Health Assessment within the first 60 days of membership. CVMA partners with Veterinary Career Network (VCN) to expand its veterinary career opportunity listings and related services. The VCN membership consists of national and state associations, as well as veterinary schools and colleges. In addition to our regular member services, CVMA can now offer hundreds of nationwide veterinarian and veterinary career job listings, career development services, and more than a thousand active resumes. Employers: Save time and expand your recruitment reach by posting your veterinary career opportunities on our career center and on the Veterinary Career Network with a click of a button. All CVMA member veterinarians receive discounts on their job postings. Job seekers: Browse through hundreds of new job listings from the Veterinary Career Network and post your resume free to maximize your exposure. CVMA is proud to recognize and certify the designation of CVMA Certified Veterinary Assistant (CVA). The CVMA CVA program provides continuing education for veterinary medical personnel, enabling them to become more informed, skilled, and trusted members of the veterinary medical team. Learn more here or watch a video about the importance of CVA training. CVMA members receive discounts on monthly subscriptions! Animal Care Technologies Online Staff Training offers the flexible training solution that improves staff confidence and client satisfaction. Retain your best employees and improve client satisfaction through quality training. ACT offers over 500 training videos (RACE-approved CE available) that track individual progress and can be customized to your training needs. Learn more here and call ACT at 800-357-3182 to receive your CVMA Member discount. Instant Feedback. Repeat Clients. Online Reviews. VSmart offers your practice client feedback relevant to specific visit, immediate alerts to negative responses, automated online review invitations to satisfied clients, and real-time reputation monitoring from one interface. It can befully integrated with practice software and you can take advantage of a free starter version! Improve your practice’s performance with the CVMA Practice Diagnostic Report and Personalized Fee Guide. These tools are free to Premium Members and discounted for Core members. Learn more here. VetMed Resource by CABI is the information source every practice needs to ensure it has current evidence informing its methodologies and supporting its staff’s Continuing Education. Learn more here and sign up using the Performance Tools Order form. CVMA partners with Alliant/Mesirow Insurance Services to provide a full line of products to meet your needs, from medical/dental plans to ID theft assistance to retirement planning. By purchasing services through this special program, you will receive added value and/or discounted rates.